In 2016 over 3 billion people worldwide used the Internet on a regular basis. We mostly searched for weather updates and translations, but on the top of the list there are also searches related to finding contact details to companies located in particular areas. There is no denying that the Internet is a powerful knowledge database on a variety of topics. However, a huge percentage of the information found online is not very reliable and needs a thorough verification. Who has got the time for that? When time is money, it should not be spent on futile tasks that do not generate any results. The overwhelming issue with company information online is the fact that majority of data is obsolete. With that in mind, the developers behind a brand new project, Datastical, came up with an idea of a platform that puts together only the most reliable company information for the utmost customer satisfaction. 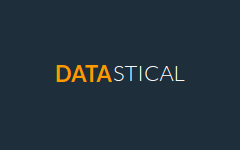 Datastical is a virtual tool that collects, categorizes and organizes information about numerous companies operating mostly in medical and transportation industries in the USA, aiming to be the most user-friendly company search engine online. Datastical is designed to provide the most satisfying end user experience through modern design and readable layout. When you enter the site you will immediately see an eye-catching search bar where you can enter the name of a particular company you are trying to look up, or just input some basic keywords. A powerful search engine will retrieve relevant results in seconds and present you with a list of companies that match your search criteria, thus giving you the starting point for your research. If you are just browsing, you can go to a neatly organized index of all companies featured in the database and conduct a traditional manual search. When you find your match, you can enter a dedicated page to get to know the details of your company of choice. Each business subpage comes with full legal name of the company, its up-to-date contact information, licenses, offices and number of employees. Datastical values customer satisfaction, therefore it informs its users about the need for drivers and transportation companies to comply with safety regulations imposed by Federal Motor Carrier Safety Administration, so if you have looked up a transportation company you will find its DOT number which is a unique ID used to collect and monitor company's safety information. At the bottom of the page you will get detailed information about the number of audits and inspections performed on drivers and their vehicles. On the platform you will also find visual representation of data in a form of colorful charts that will make the evaluation of your research much easier. Whether you are a corporate researcher, business owner, or an individual client, you can utilize Datastical to all your company searches as it is quickly gaining the reputation of the ultimate online repository of knowledge about US companies. This useful online database works well on all portable devices which means that you can have this powerful resource always at your fingertips.